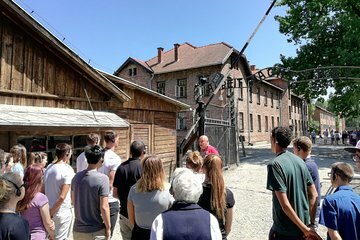 Spend a day learning about Auschwitz-Birkenau—a former concentration camp during Nazi-occupied Poland. This site now stands as a place of remembrance to the victims who lost their lives there during the Second World War. You’ll be able to travel to Auschwitz-Birkenau with ease as Krakow hotel pickup and drop-off is included. Avoid long visitor lines as entrance tickets are included. By going on a guided tour, you’ll learn more about the sites you see, as well as background historical information too. Had a small problem in coordinating the pick up but other than that it was a great experience. The guide was very knowledgable and story teller so that one could really understand the extent of the drama that took place in these camps. Something anybody should do once in life. Highly recommended.